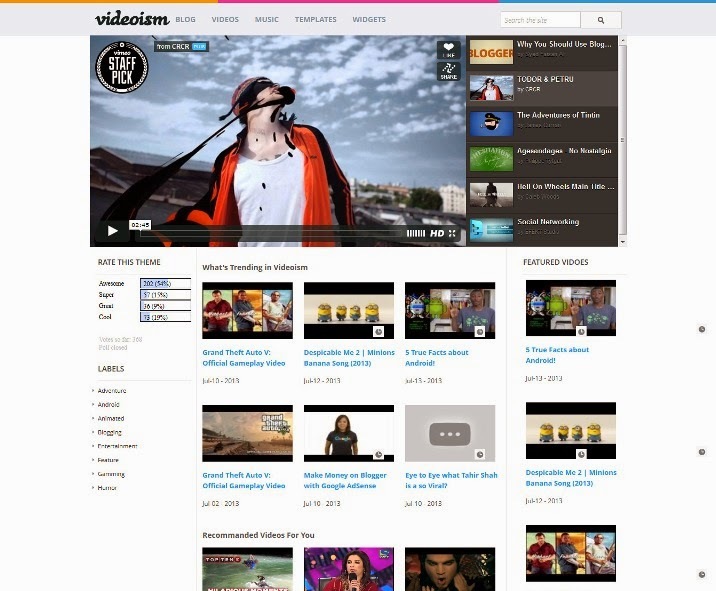 Best Collections of Free Blogger Video Templates. Johny Jazzytube was made for video content only from Youtube. There’s no specific feature in this template. It’s a white, black and blue color with 4 column blogger in there, easy loading and SEO friendly with elegant looks, 1 right sidebar, 3 columns footer, navigation menu, ads ready, pagination for blogger ready, clean design template, and more. VideoBox is a Free Blogger Template. Features are WordPress Look, 4 Columns, Right Sidebar, 4 Columns Footer, Portfolio, Featured Video Slider, Fixed Width, Wood Background, Dropdown Menu, Header Banner, Page Navigation Widget. Johny Crottube template is Johny Crott series that was made for video content only from Youtube. Features are 1 left sidebar in homepage and 1 right sidebar in post page, 3 columns footer, navigation drop down menu, grid and list style, pagination for blogger ready, clean design template, and more. 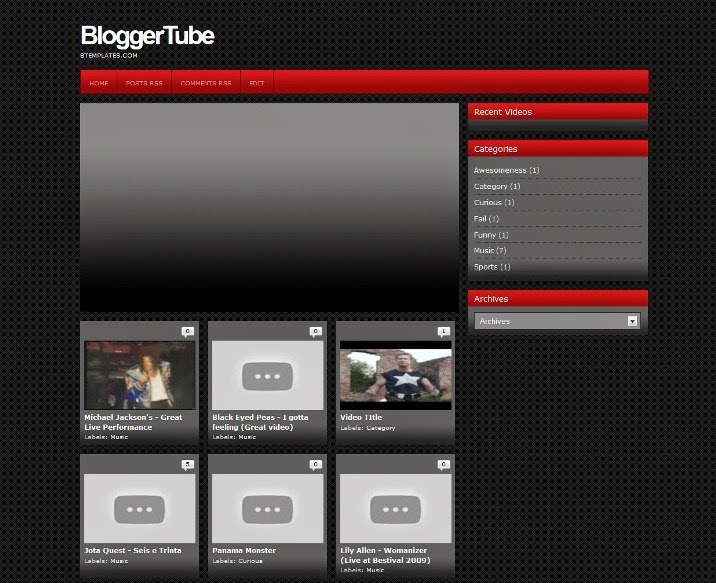 Bloggertube is a Free Video Blogger Template. Features are 1 Sidebar, 2 Column, Black, Fixed width, Gallery, Video, Photoblog, Photography, Right Sidebar, Top Navigation Bar and more. 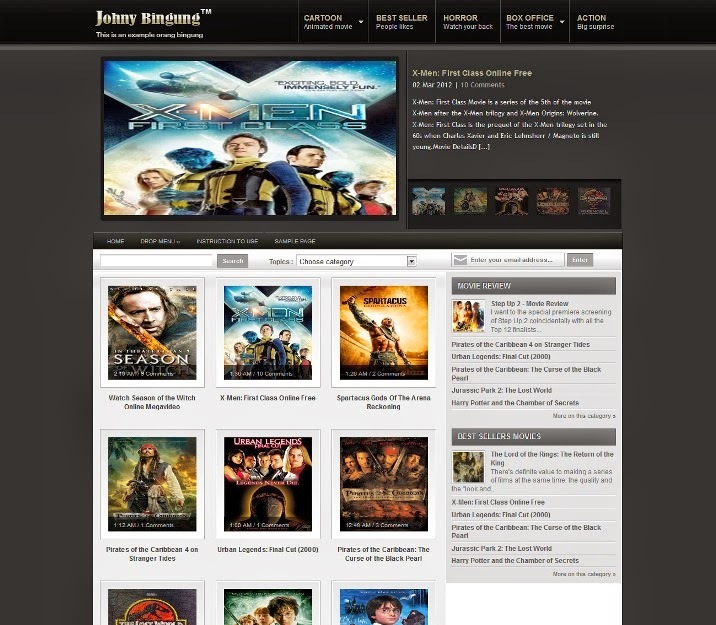 Johny Bingung is a free magazine style blogger template for games or moview reviews. Features are Automatic recent per category, 4 column blogger template with right sidebar, Automatic featured slider, ads ready, Navigation multi level dropdown menu and more. 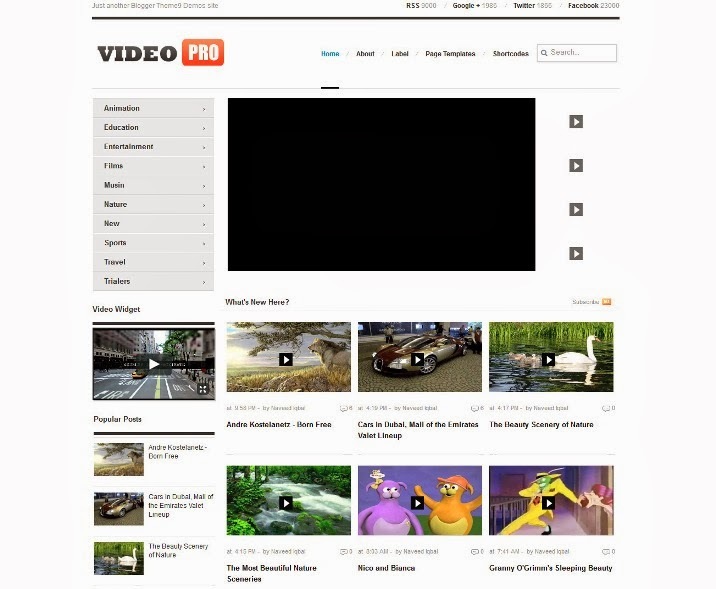 VidePro blogger template can be used for video sites, news & magazine sites or any type of sites. 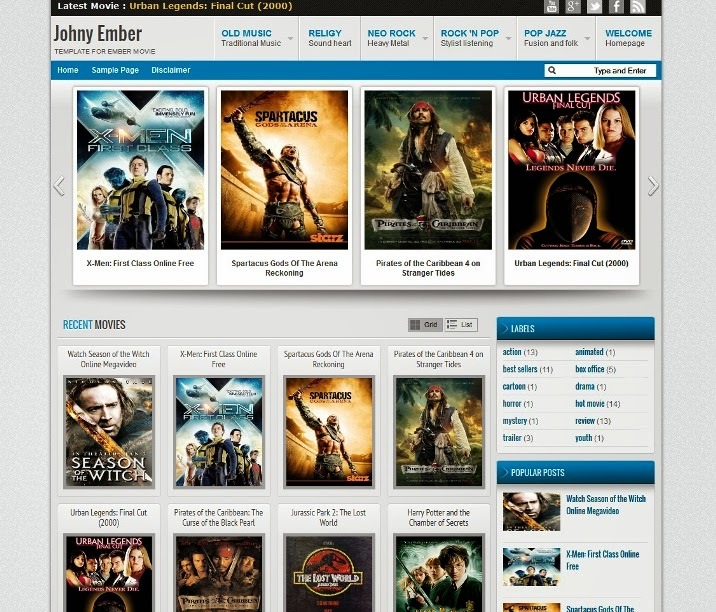 Johny Ember template was another version of Johny Joss Banget with the light style, designed for gallery content blogger especially for movie review. It’s a blue and grey color with 5 column blogger in there, easy loading with elegant looks, automatic slider Carousel for your recent post, 1 right sidebar, 3 columns footer, navigation drop down menu, grid and list style, pagination for blogger ready, clean design template, and more. 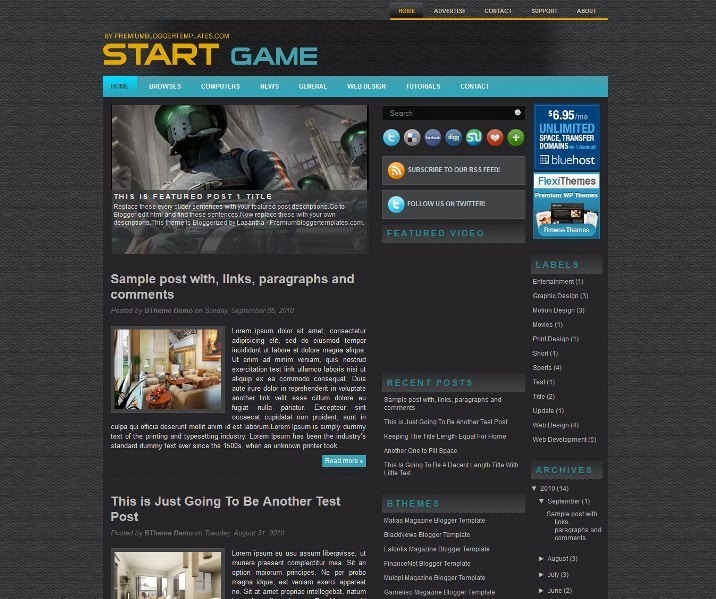 StartGame is a Free Video Blogger Template. 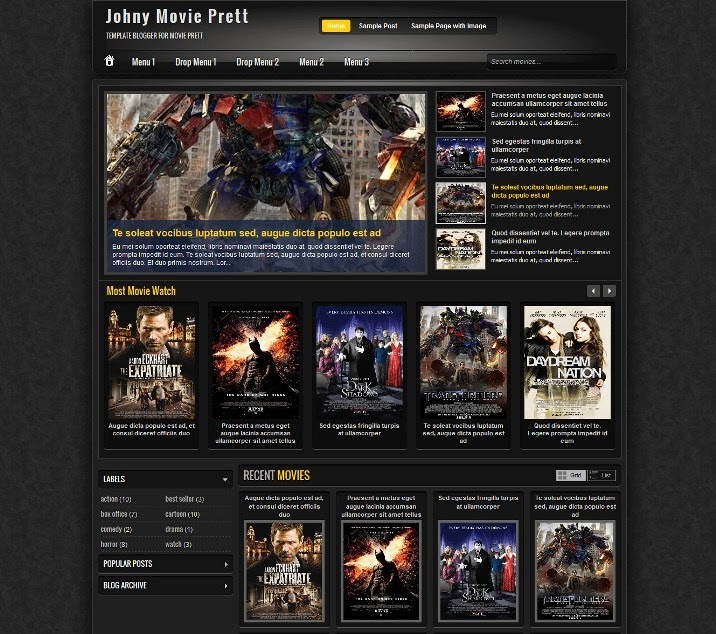 Johny Classicsite was a simple template with elegant classic style. It’s a white and grey color with 2 column blogger in there, easy loading and SEO friendly I think, 1 right sidebar, 3 columns footer, navigation menu, ads ready, clean design template, and more.